It’s always a bummer to retire our jorts, gazpacho, and summer tomatoes… But now, we’re in prime-time pumpkin season. Thanks to some marketing genius, “pumpkin-spice anything*” is given all the credit. I want to give a little more glory to the source: the actual pumpkin. Immunity Booster – It is high in vitamin C and beta-carotene, much like it’s other orange friend – the orange. (Orange slices aren’t as fulfilling as a dinner side dish, though). Eye Health – Remember that vitamin C and beta-carotene I was just bragging about? 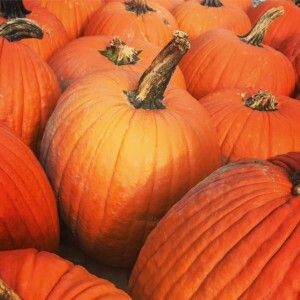 Pumpkin also contains vitamin E. This trio helps prevent age-related macular degeneration. Eye like this. Sleep Enhancement – Pumpkin seeds contain a rich amount of tryptophan. You probably recognize the name of this amino acid as the culprit for sleepiness after turkey dinner. (It might be the turkey, it might be the fact that you just ate your weight in food. Think about it.) Your body converts tryptophan into serotonin, which is then converted into melatonin – the “sleep hormone”. If you’re popping a melatonin supplement each day, try popping some pumpkin seeds (pepitas!) into your mouth a few hours before bedtime instead. I know you’re out there carving this week.. don’t let those guts and seeds go to waste. Want to learn about more seasonal superfoods? Share a recipe? Contact me here! 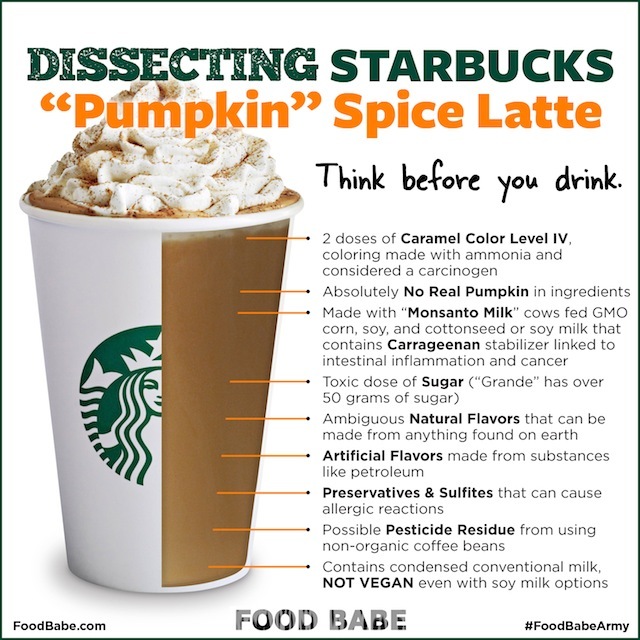 *Pumpkin-spice doesn’t actually contain any element of pumpkin. Truth.